It has now been more than two years since coverage of SonicTV Starleagues first appeared on the front page of TeamLiquid with the Ro16 of SSL7. When the idea of covering Afreeca tournaments as front page news was initially discussed, we had just said goodbye to Brood War progaming as we knew it, with the end of the TVing Starleague and the conversion of Proleague into an ill-fated hybrid format. SSL7 was Sonic's first foray into fully offline tournaments and it showed. Post-match interviews were filmed through a window, with reflections of the cameraman and Sonic standing in the background clearly visible. Two tables were crammed into a small room in the offices of Sonic's burgeoning online shoe store, one room over was Sonic's office from which he hosted all of his Afreeca casts and a third room held a small but dedicated group of fans, many of whom had to sit on the floor due to a lack of chairs. This was something quite different from the Korean Brood War that some of us had been watching for more than a decade. It was slightly shoddy, a little bit disorganised but crafted with love. From these humble beginnings, Sonic's league grew and grew, and so with it did the entire Korean amateur scene. We have reached a point now where there is competition between Brood War leagues, players are travelling internationally and earning prize money (although perhaps not salary) comparable to what would have been available during their progaming careers. And now, after two years that somehow seem like a lifetime, we're home. Brood War is being played in iPark Mall eSports Stadium, broadcast on OGN and cast by Kim Carrier and TheMarine. In this post, our intrepid band of Brood War diehards will be looking towards the beginning of the SBENU Starleague, the tenth SSL. Starting us off is our resident Korean Starcraft expert Stratos, who will be filling us in on what went down in the group selection ceremony and providing a look behind the scenes with our favourite Afreeca gamers. Next, we have BigFan, presumably a pretty big fan of Starcraft, who has prepared for us a vignette on Brood War's superhero, Sonic. Then TeamLiquid Brood War veteran and LR thread abuser konadora brings an update on one of the maps that will be returning to the SSL rotation this season. Finally, community member Mirabel_ has provided us with a set of previews for the first four groups of the Ro32 in collaboration with myself. Let's hope that Mirabel_'s knowledge shines through, and that I don't taint his predictions with my presence. All of this great content is clothed in artwork by shiroiusagi peon Insidia and assembled and laid out by my personal favourite human being, Hyde. A special mention goes out to prech, who was invaluable in helping to organise and collate this news post (and a number of others which you will hopefully see soon) and whose contributions to Liquipedia and TLPD since he registered earlier this year have been simply remarkable. Welcome back everyone, it's the SSL. All the action from iPark Mall. A new beginning, but a familiar battlefield. What's to come in the first four groups. If you were around for last season's group selection, you will certainly remember Mong dancing in his pig outfit, Zeus the Safety Toss and Terror as the stargirl's pet dog. With this season, Sonic aims to start reclaiming the former glory of the OSLs and as if the players realized this, they acted much more professionally and reserved. That is not to say the Yongsan stadium crowd slept through the group selection; there still was some of the awkward silliness we all know and love. But even if it wasn't for that, this was one of the most entertaining group selections we have seen yet, although only those who understand Korean could fully appreciate that. Luckily enough, there were Waxangel, QuickStriker and Hesmyrr to translate snippets of the funny banter in the live report thread and stream chat, turning the event into a hilarious experience for everyone. After Kim Carry made us all proud and happy by mentioning the foreign fans and the female caster Jeong Sorim was done teasing him about his famous "last OSL" tears, we could finally meet the players. With only six of them revealed beforehand, the first big surprise of the day was firebathero, who came in quietly explaining he wouldn't put on a crazy show because being a coach he had to set an example to his players. But you would be wrong in thinking that that was all FBH had in store for us. More on that later! One of the most anticipated players was without a doubt ToSsGirL, who was excited to finally make her comeback after getting married. Her only regret was that YellOw would be missing in the league. Perhaps she wanted to even out the 2-3 record she's had with him since her progaming days? Anyway, Shuttle explained that the popularity of his Afreeca stream doesn't come from his soothing voice but rather his beautiful face and Mind admitted that his quiet personality may not be best suited for Afreeca streaming but added that many fans still come and watch his stream when they need to fall asleep. Snow surprised the commentators when he remarked he would like to avoid facing the ex CJ Entus semi-progamer Sea.KH. He went on explaining he found the guy annoying during his progaming days and did not want to play under stress. After a short commercial break, Zeus fired up the audience by staying true to his nickname - the Ceremony Toss. Recently married, Zeus announced some personal news by piggybacking a baby doll. He then proclaimed himself a "living legend of StarCraft! Or uh, maybe a fossil.." and left the baby doll to its fate in the male dominated audience. Pure amused himself by saying he's practicing hard to win the Starleague. The Protoss party was finally ruined by ZerO, who said he would love to take his revenge on JangBi. The Young Prince also vented his frustration with Kim Carry for his passionate cheering on JangBi during their famous Tving OSL series. Carry promised he would repent in all of ZerO's games he'll get to cast. Asked how he sees his chances, ZerO recommended the commentators look up his winrate. Return of the King. An unexpected addition to the map pool comes with the unexpected JangBi. HiyA's entrance was oddly formal, but his unexpected funky voice caught everyone off-guard. Hiya said he would prefer the most difficult group, so he would join ToSsGirL, Hyuk and Sea.KH in group D. According to Fishiking, rather than skill, these players have experience. One moment in the ceremony certainly stood out as we did not need any translation for it. Known for reaching out to his Chinese and foreign fans, Teacher Movie stated that with this Starleague it is clear that Brood War isn't over and the fact that it is still here makes his heart race. Finally, he prepared some words of wisdom he wanted to share with us. The group drawing would be over with one of the most popular Afreeca streamers, Larva, who introduced himself as the Jaedong of Afreeca. Larva then asked the commentators to look after their positions, as he often commentates as well. Jeong Sorim inquired whether it is TheMarine or Kim Carry who should be more worried, which Larva countered by saying that he is a caster, meaning he could take over Jeong Sorim's position. Needless to say this was accepted with heavy cheers from both of her male colleagues. With the groups all set, it was time the seven seeds decided which player in their respective groups they wanted to face first. Movie struggled with his decision so much that he asked to be the last one to do it. With neither player objecting to that, Mini decided to stick with firebathero rather than facing Killer or PianO. It was right then that firebathero revealed, a glorious smile on his face, that he has been hunting progamers on the Fish server for a long time now with none of them knowing his ID. Zeus put on his murderer face when hero picked him for his first opponent. Mad since he came here to get some money and buy milk for his little baby, Zeus continued to stare down hero who bowed his head in shame but did not take his request back. Larva was disappointed in his group consisting only of players of the same (low) skill, and finally decided to play Sharp first. Sharp responded by saying that earlier he would beat Larva without his mouse, but even if that might not be the case now, if he can play with the right mindset, he can beat Larva again. HiyA called out free on his perverted reaver heavy play style, Tyson on only being able to win games by going carriers and finally Lazy on being unable to do anything and still not resorting to carriers, picking him for his first opponent. After careful consideration, Movie surprisingly decided not to pick the amateur force[Name]. Instead he opted to face sSak first, which concluded the entertaining and highly insightful group selection. 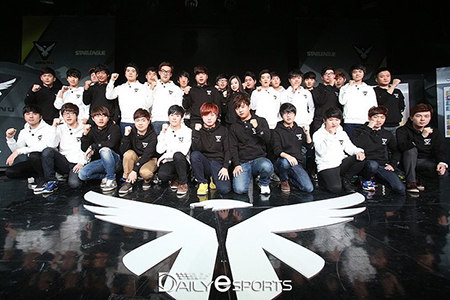 With the Starleague returning to OnGameNet with a successful group selection ceremony and the Kongdoo Starz League starting soon, Brood War is back in full force for 2015. STAR WILL NEVER DIE! It's been two years since the conclusion of Tving OSL. As Jangbi defeated Fantasy and was crowned the winner, reality started to set in. After an amazing run of 14 years since the first OSL back in 1999, this was the end of professional BW. We thought it would never again air on OGN and all the players would be forced to switch to its predecessor or retire. This was a bitter pill to swallow for us, the fans who had followed the game for many years and the players who had their livelihood cut short, not out of necessity but out of greed and backroom dealings based on rumours swirling around at the time. Many gave up on their passion choosing to leave the scene altogether believing that BW has had its heyday. After all, BW was in the worst shape possible and it seemed all but certain that this was the end. Yet despite all the sadness, the sorrow, the anger and the negativity, a single flame spurred by passion crackled with life in the depths of the Afreeca scene. A flame that refused to be extinguished, it only intensified as time passed and brought us some of the most memorable tournaments after the end of professional BW in the form of Sonic Ranking Tournaments (SRT) and SonicTV Starleagues (SSL). This flame also known as Sonic single-handedly injected life into a scene that seemed to be diminishing with time. His unrivaled passion, like a beacon of light in a sea of darkness, helped him propel his starleague into uncharted territory that seemed unreachable only a short time back. Despite facing the prospect of another match-fixing scandal and having to take out a bank loan to support SSL, Sonic persevered against all odds and constantly outdid himself with every iteration of SSL. His latest tournament, SSL9 had the biggest offline grand finals in recent years and was instrumental in helping to get OGN on board. Brood War is Coming Back to OGN! I'll give you a minute to let that sink in... This was a dream only several months back yet it's become reality, a miracle! Sonic has managed to surpass all expectations and realized our shared dream of bringing BW back to the big screen. Don't mistake this for the end though, this is just the beginning of something grand! This is history in the making! It's now up to us, the fans, to help BW reach greater heights and spread our love for the greatest RTS of all time! A lot of doubt surrounded this season's group selection ceremony. The reason? A smaller league organized by Kongdoo* (KSL) was announced only days before Sonic's planned schedule announcement for the SSL. That alone could be attributed to bad communication but the fact that two of the top performing players, Sea and Bisu, would not be playing in Sonic's league while participating in the KSL was disturbing, to say the least. *Kongdoo (YellOw's company) organizes esports events and promotes top Afreeca BJs, most notably Sea and Bisu. While Bisu had announced that he would not be participating in SSL 10 soon after winning the last season due to the competition being too exhausting and Sea was soon to be joining the military, there was no stopping to the rumours and speculations about the two parties fighting over viewers and players. The idea of the long expected SSL becoming an "OSL of amateurs" was an unpleasant one and Sonic's announcement of a 128 player selection tournament, which would have under different circumstances been accepted as a great move, made many fans even more sceptical about the number of ex-progamers he secured for the league. After days of the rumours not going away, HungryApp (the broadcasting team for the KSL) announced that the two parties were cooperating to make both leagues a success. The SSL group selection was finally announced but, as if testing the loyalty of his fans, Sonic only revealed six names: JangBi, Mind, ZerO, ToSsGirL, HiyA and free. Surely it could not be just these superstars joined by a rank of no-name amateurs? Despite the doubts, the fans proved their loyalty to Sonic and Brood War by once again coming in overwhelming numbers. 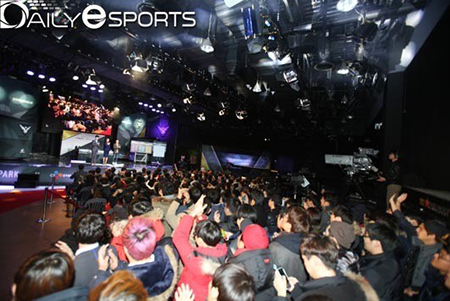 And the lucky ones that could fit into the Yongsan eSports Stadium certainly didn't leave disappointed. It may take some time for the speculations over Bisu and Sea chosing not to participate in the bigger league to die off. But a healthy scene cannot rely on only one or two key players, especially if both have yet to serve their military services. If this was a test, Sonic has dealt the way the always does - by giving us much more than we even dared to wish for. Hundreds of hours of gosu FPVs for free are but one of the treats today Brood War fans get on a weekly basis. Throughout the professional era of Korean StarCraft, progamers were distant figures to most of us. Figures we loved or hated, figures we cheered on, figures we could argue over for hours, but how relevant was ever the average Liquidian to the Korean scene? Say you were big time into Brood War until five years ago. If you were to think that the hype threads, articles, highlight reels or forum cheerfuls you produced here on TeamLiquid back in 2009 mattered to the players or the proscene at all, you would be - absolutely correct. But most of these contributions came with a significant lag, for the foreign scene only becomes relevant now. With many players heavily relying on direct fan support in the form of donations, every voice is starting to count - regardless of where it comes from. Sending the players balloons (Afreeca donations) may still be a nightmare of a task to achieve outside of Korea, but there are other ways of getting involved. As players let fans in on their practice sessions, hiding their personalities becomes impossible and many end up holding regular fan meetings. It is becoming clear that our heroes recognize the need to stay in touch with their fans and to always keep expanding their fanbase. One by one, more streamers use various SNS to ask their fans for support before matches, share some fun moments from their lives or upload highlights of their streaming sessions. With that, the players enter our world - the world of Facebook and YouTube. Never before was supporting your favorites as simple as it is now, and never before was it as important. Of course the major organizers like Sonic/OnGameNet (SSL) or Kongdoo/HungryApp (KSL) also keep up with the modern world and it is imperative that all Brood War fans subscribe to their news feeds and like every single Brood War related post they come up with. You may have already noticed the Afreeca feed thread which gathers and translates most of the relevant content while providing links to the source for your convenience. Now is the time we start paying back for all the years of free entertainment! The Starleague, albeit as the Sonic Starleague this time round, once again returns to the Yongsan e-Sports Stadium, home of where Brood War was at in its peak. Thought to be dead, it rises from the ashes once more to grace Brood War fans across the world with this timeless masterpiece. And how fitting is it that it will not be new maps that will encompass this league, but the return of some of the most classic maps in its 15 year history. We'll start off with the most unique map in this map pool – Sin Peaks of Baekdu. One of the most memorable and unique maps of its time, Sin Peaks of Baekdu (and its very different predecessor, Peaks of Baekdu) was one of the first few maps to truly implement long expanded ramps after the famous Ride of Valkyries. This led to the creation of hills and for players to fully utilise the high ground advantage, adding in a new dynamic factor to the playstyles of each race. This map was also one of the first few maps to utilise “selective pathing” as well, allowing small collision size units to pass through a path, somewhat similar to the ramps on 815 and semi-destroyed path on Troy. In short, units like marines and hydras could use the direct path from one base to the other, whereas biger units like tanks and ultralisks had to make a long detour. In addition, unlike the maps of today, expansions are further spread out and are harder to defend due to the lack of choke points leading to the expansions. This makes turtling a very punishable option, which may throw many players adapt to the current meta off their guard. In those days, it was not uncommon to see many games where players shed blood while running on two or three expansions. The maps favored the aggressor and in my opinion, that is what Sonic and his team had in mind when they decided to include this map into the pool. To bring back the head-on approach that peaked in 2006-2007 era and to reduce the macro-oriented play that plagued the scene in the 2010s, and there is no other candidate to encourage this than this brilliant 2 player map. A very balanced matchup on paper, but with the current skill level of players, a matchup I believe will have the greatest change. Historically, Terrans always had the advantage over Zergs due to Terrans being able to keep up with the Zerg in terms of unit econimical efficiency and army mobility, while being vastly superior when in greater numbers. Zergs always had to have the upper hand by utilising their units to their greatest potential, be it with Zerglings, Mutalisks or Defilers. But much has changed in the 8 years since the introduction of this map, and Zergs are all now able to carry out such high level of multitasking with ease. 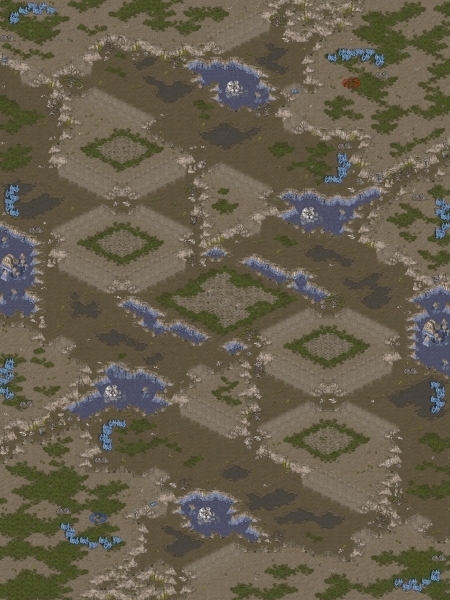 With this map, Terrans are no longer viable to transit into late game mechanic as it is neither a four player map nor is it a map with many easily defendable expansions. Going mechanic also severely limits the pathing available to the Terran player as it would mean the middle direct path is cut off. Terrans are now forced back into the days of SK Terran and/or other Bio-heavy army combination, giving Zergs a much easier time in the late game scenario. ZerO can definitely testify for this. With Zergs now having the multitasking skills to do more than their predecessors did, I believe Terrans will have a rougher time on this map as compared to any other map, not only in defending their expansions and their main, but also in keeping their army alive from multipronged attacks that can come raining down from the hills. The biggest hardship that one can see for Protosses on this map is how open the natural is. Hydra rush was very common due to the direct path that they can take, and both Zergs and Protosses were very aggressive with their early-mid game army composition. For the swarm, it was either the muta harass or the zergling/hydra bust attempts or contains that kept Protoss on their toes for this map. Unlike other more conventional maps, the Protoss cannot simply get away with a forge fast expand on this map. Although good position and a well placed zealot/probe can prevent zergling runbys, it is the follow up pressure that killed many Protoss. In addition, the Protoss has no other way out of the main other than by the mineral-blocked second ramp in their main or via shuttle drops. A good Zerg keeps the Protoss army in check and is able to contain the Protoss for a long time. By playing aggressively and destroying the forge upgrading the +1 attack, the Zergs are more or less able to secure their wins on this map should they play reasonably aggressive enough. The Protoss however had to play innovatively on this map. Some of the popular builds on this map were +1 speed zealot/corsair builds that allowed the Protoss to save their gas for High Templars, 1 base play into slow cannon leapfrog expand, and expanding to their third base while pushing out with their zealot/HT/sair army, as well as Dark Templar rushes and/or pressure. Dark Templars were very effective on this map as having expansions that were far away from each other meant as long as the Protoss could apply pressure on at least one expansion, the Zerg had to redirect their forward army or their reinforcements away from the Protosses' natural to deal with the pressure, giving a timing window for the Protoss to get out of their contain. As taking their third without pushing out is fairly difficult due to the far distances of the third, corsair/reaver builds may make a return as the Protoss try to take advantage of the high grounds to control the zoning of the map. The map forces the Protoss to invest a lot into zealots and cannons, so I am personally excited for this welcomed (even if it is forced) change of playstyle for this lineup, as it prevents the kind of mid-late game-centric playstyle found on maps like Fighting Spirit and All Or Nothing. Expect certain compositions to make a return here, such as the aforementioned +1 speedlot/sair build or reaver/corsair build. I now leave you with one of the best games from 2006, the classic Nal_rA vs sAviOr game on this map to show you what kind of games this map can produce. The absolute Reaver/Carrier and Dark Templar nightmare map for Terrans, this map probably produced the most carrier builds aside from Katrina and the most Dark Templar rushes in PvT history. The sheer advantage for Protoss that Dark Templars can take the direct route while the Terran mech army cannot is a great timing advantage for the Protoss, using Dark Templars to buy enough time to get their expansion up and prepare for the late game early, with either carriers or the less-frequent (back then) arbiter builds. Reaver openings were also common due to the terrain layout of the mains, the natural and the subsequent hills between the bases. Having a short by air distance between main and natural meant the Protoss can consistently apply pressure alternatively between the two of them, keeping the Terran locked in their base. In addition, with the first hill being so close to the natural, it not only acts as a holding ground against Terran, but also enables the Protoss to easily scout and keep track of the Terran's army movement. The stats may be deceiving as it feels like Terrans can have a decent time against Protoss on this map, but many of the wins were due to sloppy control and misplays by the Protoss, such as Anytime hilariously building (but later cancelling) two Fleet beacons. The map also handicaps any form of mech rush, thus it is likely we will see Protoss trying to get this towards the late game, and this will be advantageous for the Protoss. As I mentioned earlier in the previous Sonic Starleague preview, Terrans have to take down multiple expansions with their deathball push. But the layout of the map's expansions prevents this severely, and with limited movements around the map forcing the Terran army to move only clockwise and counter-clockwise while the Protoss can harass with zealots, dark templars and use recalls, the Terrans will have a hard time throughout the entire game. Expect some clear Protoss advantages on this map. All in all, this map is a wonderful start to bring about some old, refreshing and most importantly, aggressive playstyles back into the current meta. I have always advocated maps being less macro-oriented and to reward early to mid-game plays, and this is the ideal map to bring back to make this happen. Three of the Korean amateur scene's heavy hitters meet in the opening group of the SBENU Starleague, with Movie, sSak and ZerO all seeking to make a significant impact on the later stages of the competition. Rounding out the group is force[Name], a fallen titan from the early days of the SoSPA scene and former SSL champion. Movie's record since his retirement from progaming has been the best of the players in this group, but his form has faded since his initial rise through the ranks of the Afreeca scene, as sSak hinted in the group selection ceremony.. sSak and Movie provide perhaps the most interesting match-up of this group, as Movie historically possesses one of the best PvT match-ups of any player in the scene, although not on the level that we have come to expect from Bisu or Snow in 2014. sSak, meanwhile, has shown some excellent PvT recently in a Bo5 against Bisu but has yet to defeat any of the Korean Amateur scene's premier Protoss in a major tournament. ZerO's success with the ladies hinges on his ability to win a ZvT; something tells me he's going to be very lonely this Christmas. Up until this point, ZerO's career in the Korean Amateur scene has been something of a disappointment. Crashing out of SSL9 in the Ro16 having dominated his Ro32 group (in the process eliminating back to back champion Killer), the former Woongjin ace's ZvZ and ZvT are simply not what we expect of a player of his progaming pedigree and there's a sense that even if he is to make it out of this group, his progress in the tournament will always be limited by his ability to beat a good Terran player in a BoX. Fortunately for ZerO, his ZvP has been the one thing upon which he has been able to rely since his return to Brood War, and he is well equipped to challenge Movie if the two were to meet. Long past his prime and with skills massively eclipsed by the refinement and experience of the huge ex-pro contingent now populating Afreeca, force[name] is the clear underdog in this group and would need to play perhaps the best Starcraft of his life to even have a chance of making it out of this group. Still, stranger things have happened and he has taken a map off Movie before (albeit almost two years ago now). ZerO's form in the recent LoveTV SponLeague suggests that he could be ready to progress to the level that we know he ought to be capable of and make a real push for the latter stages of this league, while Movie's abusive style and consistent success may paper over the cracks that have been appearing in his play since SSL9. sSak is a much less knowable quantity, but has both the skill and the experience (having finished third in SSL8) to do some real damage in this group. It all hangs in the balance in the days preceding the opening matches but for one of these three players, SSL10 will be over before it began. Movie and ZerO to advance. This is an even stronger group, and a lot depends on whether our surprise contestant really shows up or not. Mini, the dark horse survivor of SSL9's Ro32 group of P, decided that he was more confident against the mysterious firebathero than the monstrous PianO and Killer and kept the group as it was. Last we heard, he had a surge in foreign activity in September, wiping the floor with the best ever Latvian LAN party and beating Scan for iwL in the iCCupCL finals. How he’s been faring against the Koreans on Fish is a well-kept secret, but if anything, it's safe to assume that TvP is still his worst matchup, and he may need to play it twice to advance. PianO has been topping the Fish ladder with multiple accounts and winning minor tournaments all year in stylish, Starport-heavy fashion, while Killer, the only Golden Shoe candidate and SoSPA's very own king of silver, has been steadily building momentum since his embarrassing early elimination in SSL9. While Killer's ZvT record has, for his entire career in the Korean amateur scene, been the one thing that differentiated him from all the other Zerg contenders, he faces an extremely tough match-up against PianO, whose 77.5% win rate in ZvT gives him one of the most dominant single match-up records of any player in the tournament. While Killer and PianO are the most likely pair to advance from this exceptionally strong group, Mini's winning record against both players in his relatively long but sparse career in the Korean amateur scene means that if things go his way, he may be able to spring a major surprise over two much more well established players. FBH, as he was for almost his entire career as a progamer, is a wildcard. 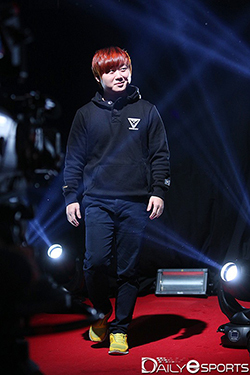 While he has shown that he clearly hasn't forgotten about Brood War entirely since his departure from ACE in 2013, he had by far the strongest career of any player in this group as a pro and his TvT and ZvT qualities may allow him to turn back the clock and advance from a very tough group. Definitely the group to watch out for in the first half, this has the potential to be either an incredibly closely fought battle between four highly skilled players, or a straightforward advancement for two of 2014's amateur scene stalwarts. PianO and Killer to advance. Two of the most in-form newcomers to the amateur scene, Fish ladder monster Last and PvT maverick Snow are most likely to make it out of what looks like quite a straightforward group on paper. Kwanro, however, always has a few tricks up his sleeve (spoiler: the tricks are zerglings) and his run through SSL9 shows that anything is possible if you cheese try hard enough. Closing out the group is former SSL champion Shinee, whose consistently strong gameplay on the Fish ladder is matched only by his consistently poor performances in offline SSL tournaments over the past two years. At his best, Kwanro can certainly disrupt the expected progress of this group but given his struggles since SSL9 versus both the best and the worst the Korean amateur scene has to offer, he is equally likely to lose to the unfavoured Shinee and crash out 0-2. Perhaps the one thing he has on his side is a decent ZvP which has been his least embarrassing match-up in the year since his SSL9 fourth place. The (formerly) Albino Terran will hope to avoid getting Kwanrolled. Last's dominance of Fish over the last year has yet to be reflected in his tournament performances, with his recent participation in LoveTV Sponmatches not inspiring a great deal of confidence in his ability to perform when more than ladder points are on the line. Having been one of the most consistently impressive players on Afreeca since SSL9, now is the time for Last to bring his skills to bear when it really counts and make good on the promise he has shown both during his amateur career and also in the final days of Brood War Proleague, when he had begun to displace now SC2 superstar Bogus as STX's Terran ace. Former CJ player and SSL debutante Snow has continued the trend that existed through his progaming career, demolishing some of the scene's best Terran players on his way to a 70% PvT win rate in 2014. Snow has the winning record against both Last and Kwanro this year, and he's practically got a free win in the making against Shinee. With the massive inconsistency of Kwanro and the lack of good tournament performances by Last, he is the clear favourite to advance in first place. Last and Kwanro will need to play at their absolute peak to even stand a chance of disrupting the former CJ player's progress into the Ro16. Shinee is the only Group C player who's actually won an SSL, but that was in another era of SOSPA, and the Skyscraper Terran is up against veritable wrecking balls of every race. He will need to show the same kind of all-round qualities that his Ever clanmate Last did earlier this month, as he blew through NsP in the Hope Clanleague finals playing versus all three races. However, Shinee's past performances in offline tournaments with much weaker player pools (giving rise to sub 40% TvP and TvT win-rates) suggest that such a performance is well beyond him and the best he can hope for appears to be a respectable 1-2 exit. Perhaps the least open of the first four groups of the SBENU Starleague, we are left hoping for Kwanro to revive the skill or the luck that carried him through SSL9 to keep things interesting in what should otherwise be quite straightforward for NsP clanmates Last and Snow. Snow and Last to advance. With Mong's consistent success in the Korean amateur scene stretching back beyond the end of the professional scene, the only question with this group seems to be who will make it out in second place. Joining the ex-CJ Terran in Group D is SoSPA old-hand Sea.KH, former SKT captain Hyuk and the most successful female Brood War progamer of all time, ToSsGirL. Returning from a long hiatus from individual leagues, it will be exciting to see how SSL3 winner Sea.KH matches up against the aggressive, tricky Mong and the heavy-handed Hyuk. We have little to go on regarding Sea.KH's current skill level, but he had no weak match-ups during his heyday 2011/2012 and was one of the top Protoss players in the amateur scene prior to the influx of ex-pros following the end of Brood War progaming in Korea. In contrast to Sea.KH, Mong has gone from strength to strength since the arrival of progaming retirees, with consistently impressive showings against each new generation of SC2 refugees. While Mong's TvP isn't the absolute best in the scene, his losses tend to come against well established ex-pro players and he should have little trouble dealing with Sea.KH. To beat the ToSsGirL, you must become the ToSsGirL. 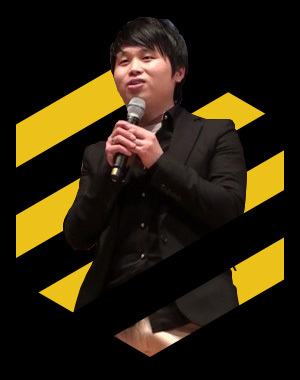 During his progaming career, Hyuk was a streaky, clutch player with an infamous tendency to throw huge advantages away. It's likely he'll need to play his worst match-up (ZvT) twice in order to advance but given the presence of ToSsGirL, is unlikely to crash out 0-2. The ultimate outcome of this group hinges on the meeting between Hyuk and Sea.KH, where Hyuk will be playing versus a race which he has the greatest amount of success as a progamer. This is perhaps a best case scenario for Hyuk, who has failed to impress since first arriving on the scene in July and losing in his signature ZvP match-up to the likes of Lazy. The most famous and well established player in this group by far is the one who appears the least likely to have any impact at all on its outcome. If ToSsGirL were to take a game, let alone advance from this group, it would be a Christmas miracle. Mong and Sea.KH to advance. This looks friggin awesome, great job everyone!! So excited to start watching the games again, especially from Ro16 with OGN production! SSL BW was formed before the SC2 one. Nice preview, already very excited for the next few weeks! literally crying tears I am so happy to see BW returning. Nothing wrong with tears of joy, I am feeling it right now too. if this were a blog I'd 100/5 it. love the write up! especially the map analysis part! JANGBI VS ZERO FINALS INCOMING! !